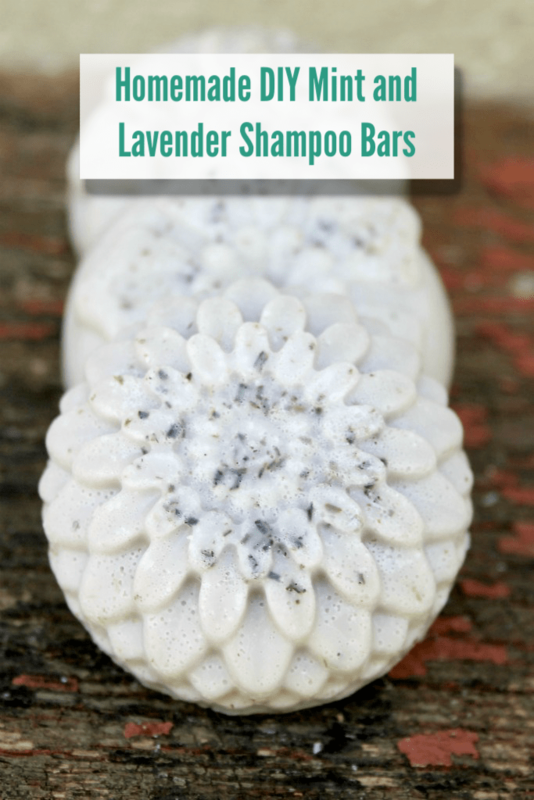 Lavender and Mint Homemade Shampoo Bar Recipe…. One thing I’m really enjoying lately is my little DIY projects – especially those that give me a chance to incorporate my new-found love of essential oils. Today I want to share my latest project with you – a super cute lavender and mint homemade shampoo bar recipe. 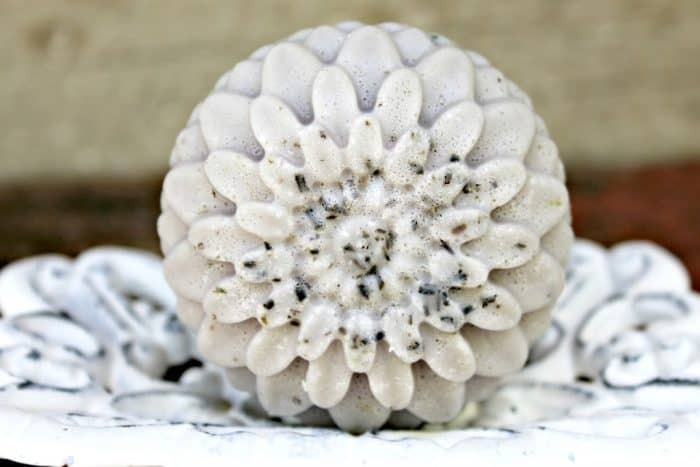 There are lots of advantages to using a homemade shampoo bar – the main one to me being that you know exactly what is in it and there are no harsh chemicals that could strip your hairs natural oils. 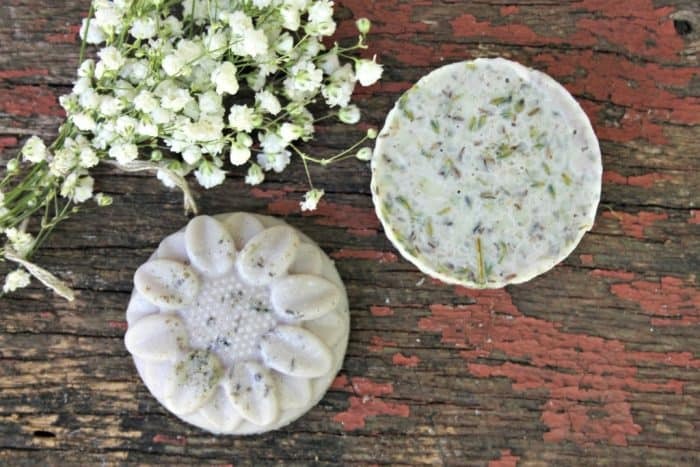 These cute shampoo bars are gentle and have the added advantage that they’re essentially a bar of soap so you can use them all over your body if you want. I always use mine as more than just a shampoo bar and smell lovely for ages after my shower when I’ve used it. Add the cetyl alcohol wax, the coconut oil, and the cocoa butter to a small bowl and melt them in the microwave – I tend to blast them in 30-second intervals until they’re completely melted. My soap base came in small cubes but if yours doesn’t then you just need to cut yours into little cubes and pop them into a different bowl and melt them in the microwave too, again in 30-second intervals until it’s completely melted. Add the cetyl alcohol and cocoa butter mixture to the melted soap base. Add the apple cider vinegar, salt, and baking soda to the bowl and give it a good stir. Next, add the vitamin e and argan oil to the mixture. Add the lavender, tea tree and peppermint essential oils to the mix. 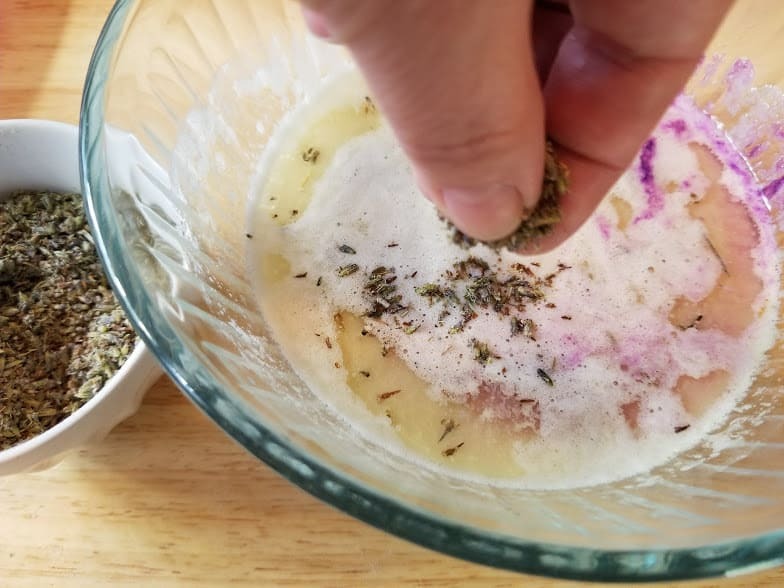 Pop your dried lavender into your food processor (if you’re using it) and crush it until it looks close to a powdery substance. You could, of course, just pop it in a sandwich bag and whack it with a rolling pin as I did when I made the first test batch of this. When you’re happy with the consistency, just add it to the soap mix, reserving about 2 tablespoons. Sprinkle the reserved crushed lavender into your soap molds. 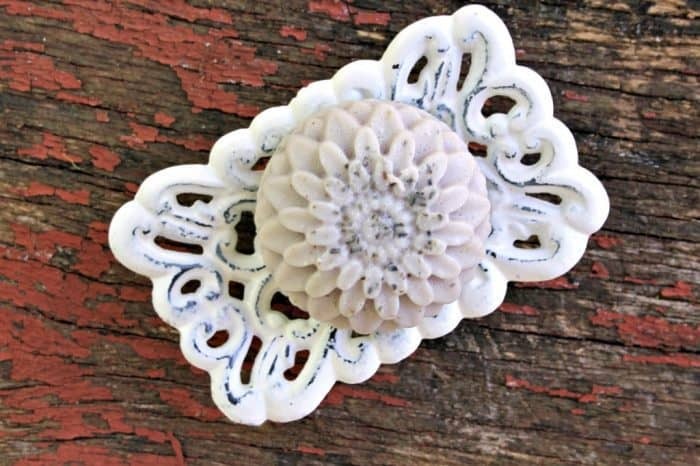 Gently pour the soap mixture into mold – I have a few silicone molds that I’ve accumulated over the years that are perfect for this. These ones from Amazon look the most like the ones I have. Leave for a few hours at least (preferably overnight) to set in the fridge. You use your shampoo bar as you would use ‘real shampoo’ so just wet your hair and rub the soap over your hair until you have a lather. Then massage it into your hair and rinse when you’re ready. 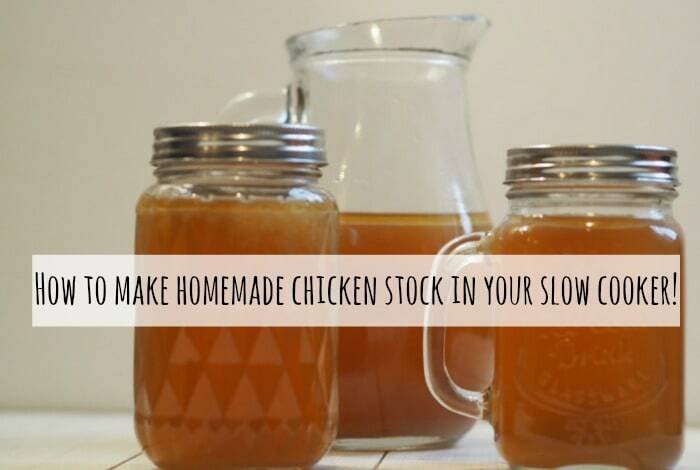 How to make homemade chicken stock in your slow cooker….